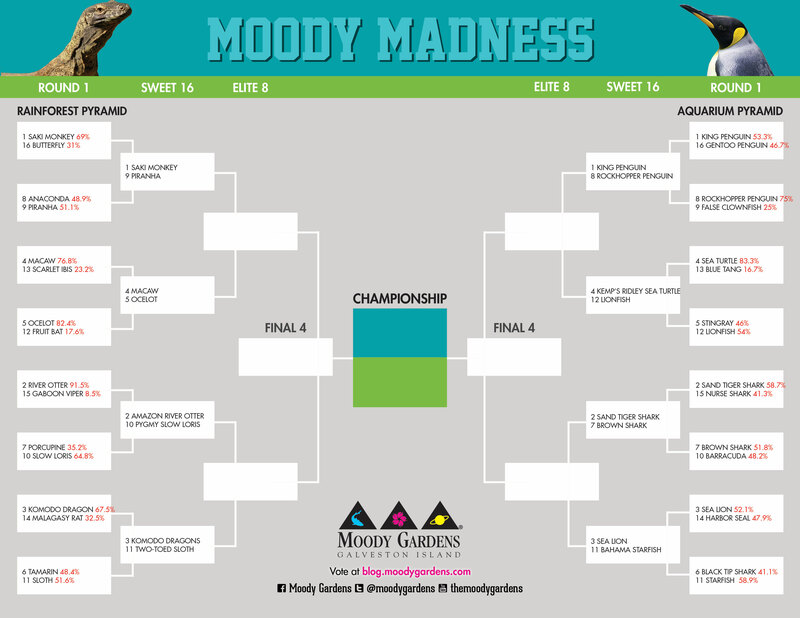 Just like the first weekend of the college basketball tournament, the first round of the Moody Madness bracket had some thrilling contests. 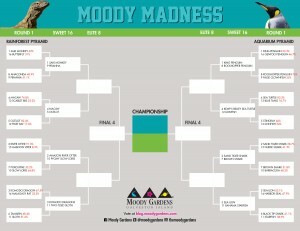 Some of the match-ups came down to the wire in the tournament to determine the most popular animal at Moody Gardens. Now it’s on to the Sweet Sixteen where the competition steps up a notch. Don’t let your favorite fall short of the Elite Eight. Be sure to vote to this exciting tournament! CLICK HERE to vote or vote below for the Rainforest Pyramid animals and make sure to click Next when you’re done at the bottom to vote for the Aquarium Pyramid animals on the second page.